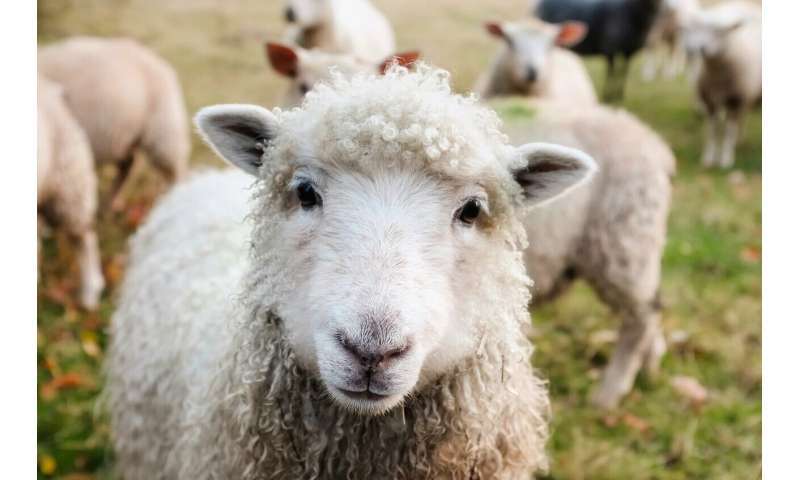 Exposure to man-made chemicals found all around us has caused 'worrying' changes in sheep livers, according to the researchers behind a new study. The researchers say the study by the universities of Aberdeen, Glasgow, Edinburgh, James Hutton Institute and the Institut National de la Recherche Agronomique (INRA, Jouy-en-Josas) raises questions about the potential effect of environmental chemicals on human health and the environment. The liver, as part of the body's sophisticated natural defences, can break down many chemicals. However, the environment contains large numbers of chemicals which have made their way into the food chain. These include many man-made chemicals, such as plasticisers, pharmaceuticals and persistent organic pollutants (POPs), that do not break down easily. This is particularly problematic because the liver not only protects the body against toxins, but also fine-tunes how our bodies work, for example, playing a role in making or burning fat. The study, published today in Environment International, looked at the livers of sheep that were raised in an environment with sewage sludge fertiliser containing potentially harmful chemicals at levels commonly found in our everyday environment. The animals were exposed to chemicals used according to agricultural guidelines, throughout their lives, starting even before conception and continuing right into early adulthood. The study found that the livers of the sheep exposed to the fertiliser showed abnormalities. Furthermore, the livers of ewes and rams were influenced by exposure in a different manner. For instance, the exposed ewes had altered amounts of fats in their livers whereas indications for cancer predisposition was noted in the livers of the exposed rams. The researchers say the results are worrying because if they were translated to humans, they would suggest that chronic exposition to an environment polluted with chemicals will eventually harm the liver, potentiality contributing to liver-related diseases. Professor Paul Fowler of the University of Aberdeen said: "A well-functioning liver is important for health and development. Therefore, risks to the liver such as chemicals exposures need to be better understood. Liver-related diseases are highly prevalent in the population, with non-alcoholic fatty liver disease affecting over 20% of people. Liver cancer is among the most common causes of cancer death. Unfortunately, the incidences of liver-related diseases are rising and we need to understand if these kinds of chemicals are contributing to liver disease. "We know that environmental chemicals such as phthalates and heavy metals to which we are exposed on a daily basis are damaging to the liver, but we do not know the extent of the damage. Our study examined what has gone wrong and such information is useful for helping us to undo the harm." Dr. Panagiotis Filis, a post-doctoral scientist at the University of Aberdeen and first author of the project, added: "Our study provides additional evidence for the damaging effects of environmental chemicals in our bodies. The fact that a number of different effects were noted in the exposed animals when they were still only young adults, is worrying. "We hope this may include better management of environmental chemicals and monitoring of people at risk." When a Roman army marched, among the pioneer units were medically-trained priests. As the engineers inspected an area for a possible fortified encampment. The medical-priests duties included sacrificing local animals to the Legion's lares & deities. During which they inspected the entrails, heart, liver & lungs for signs of various diseases. No intelligent general was willing to bed his legions down in a pesthole.